When you walk across a room or down a path, your brain is making thousands of decisions on how best to move. For example, how best to use your weight, scanning for any obstacles or uneven surfaces, and how rigid (or soft) your limbs and joints should be. 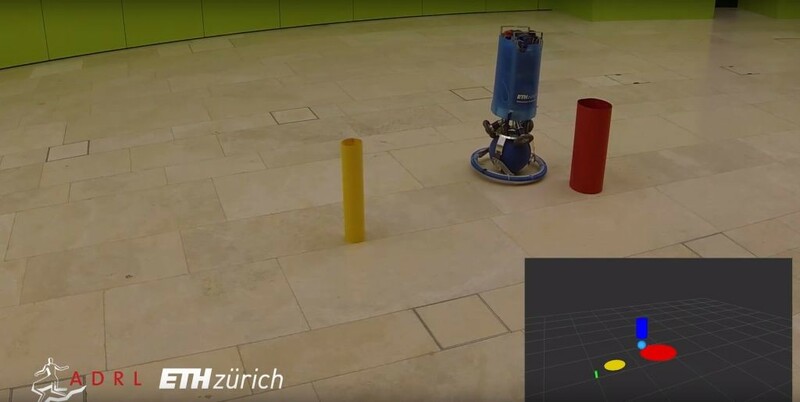 Teaching a robot to conduct the same decision-making process is ongoing in robotics, and a team from ADRL, ETH Zurich and NCCR Robotics is studying existing direct transcription methods for trajectory optimization applied to robot motion planning. Rezero, the dancing ballbot. Source: ETH Zurich. Using a method of control called direct transcription (where complex mathematical problems are broken down into smaller problems and each solved individually), the team uses direct transcription to enable an unstable ball-balancing robot to perform a series of tasks with increasing complexity. The common issue with direct optimisation methods, which are used to allow the robots to obtain more natural movements, is that they require computers to continuously run multiple algorithms at once, meaning that planning a path in real time, like the human brain does, has not yet been achieved. Simply put, the computers working online with a robot are nowhere near as fast, efficient and robust as your brain, and that’s before considering how heavy such a computer might need to be, or how much bandwidth this communication requires. First, by using computer models, the team tested the unstable ball balancing robot (see video below) with three variations of a simple task where the robot had to move from one location to another while avoiding fixed obstacles. By allowing the robot to use the best solution it found for previous tasks, coupled with a feedback controller to stabilise the system, the simulated robot was able to find a path through two obstacles in under a second. When using the real robot, the same paths and trajectories were followed, with the robot reaching the planned destination safely and in the same period of time as the virtual robot, thus validating the hypothesis. The speed with which the robot is able to assess its scenario and follow a path that it has decided for itself without falling is a positive step forward that can be transported onto more complex robots (such as quadrupedal robots) in more uneven environments. If a quadrupedal robot, such as HyQ or StarlETH, are able to understand obstacles in its path and successfully avoid or modify a movement to accommodate, such as softening joints when walking over rocks, then robots have made one step further towards regularly being sent to disaster zones to locate victims and save more lives. D. Pardo, L. Möller, M. Neunert, A. W. Winkler and J. Buchli, “Evaluating direct transcription and nonlinear optimization methods for robot motion planning”, IEEE RA-L, 2016.